My grandfather did not enjoy the fruits of his labour. He died of an unexpected heart attack at his work place soon after the renovation (extension) to the front of the house was started. Notice the uncompleted structure of the house with the uncompleted roof in the background picture. The start of the procession to bury my grandfather. My picture is circled in the above picture. Here is the completed house with an outline of the roof. My grandfather's final resting place. He died at the age of 40 + of heart attack. The above is an elaborate burial site. Notice the horse shoe shaped support? 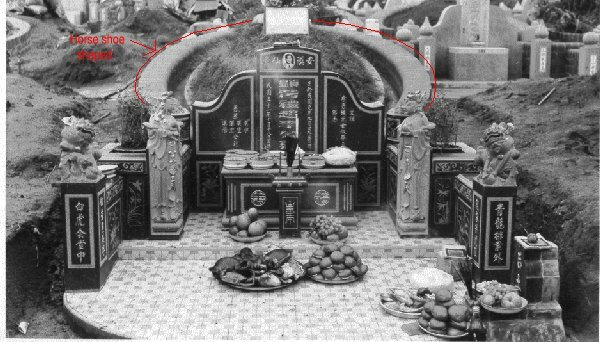 This burial site is in accordance to the Feng Shui concept of a strong support of the protective back of a grave site or Yin Feng Shui. In the ninteen seventies. History repeated itself . My next door neighbour sold their house to a weathy family. 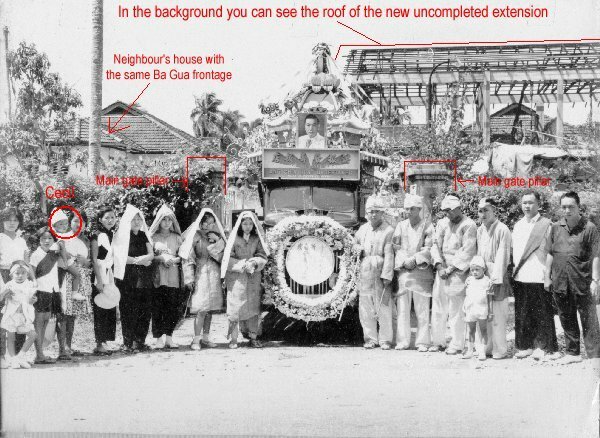 They also `chopped off' the head of their house (see picture above) and build a grand extension similar to what my grandfather had built. (I was little then). 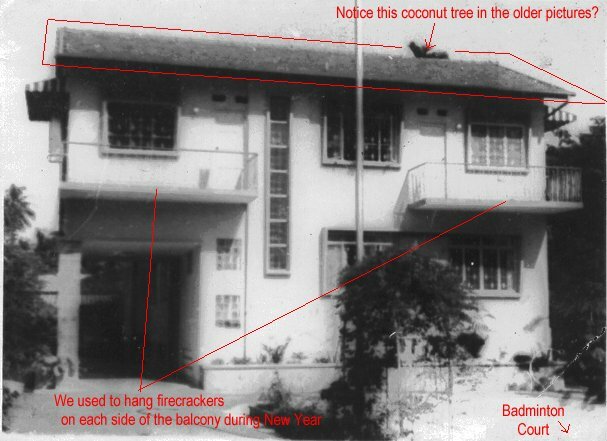 Soon after the house was built, the head of the house who is a Doctor unexpectedly committed suicide. Are these two houses under Feng Shui influence? If you are aware of such similiar cases, do feedback to us. We would like to hear from you. By the way, I was born in this house. I no longer stay at the above house. Both houses were demolised in the late ninteen seventies and in their place a few units of walk up homes.